Jeffrey Gundlach and Larry Summers are joining derivatives traders in saying the Federal Reserve is too ambitious in its plans to raise interest rates against a backdrop of slowing global economic growth. Gundlach, the co-founder of DoubleLine Capital LP, said moves by the central bank to raise rates are fighting non-existent inflation and hurting gross domestic product growth. 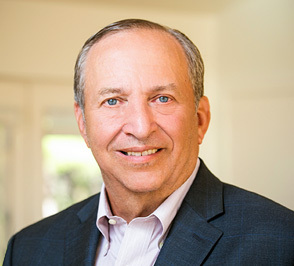 Summers, the former Treasury secretary, said the economy can’t withstand the four rate increases that policy makers project this year. Turbulence in global financial markets emanating from China has fueled concern of a global slowdown as oil prices dropped to a 12-year low. That has traders and investors questioning the Fed’s stance that domestic inflation will rebound gradually as U.S. wages pick up. Derivatives traders are pricing in fewer than two quarter-point rate increases in 2016. The benchmark 10-year note yield fell one basis point, or 0.01 percentage point, to 2.09 percent as of 5 p.m. New York time, according to Bloomberg Bond Trader data, after touching the lowest since October. The 2.25 percent security due in November 2025 rose 3/32, or $0.94 per $1,000 face amount, to 101 12/32. The extra yield that 10-year securities offer over two-year notes was at 118 basis points after touching the least since 2008. Longer-term yields tend to be more sensitive to the outlook for inflation, while short-term rates are more influenced by central-bank policy. 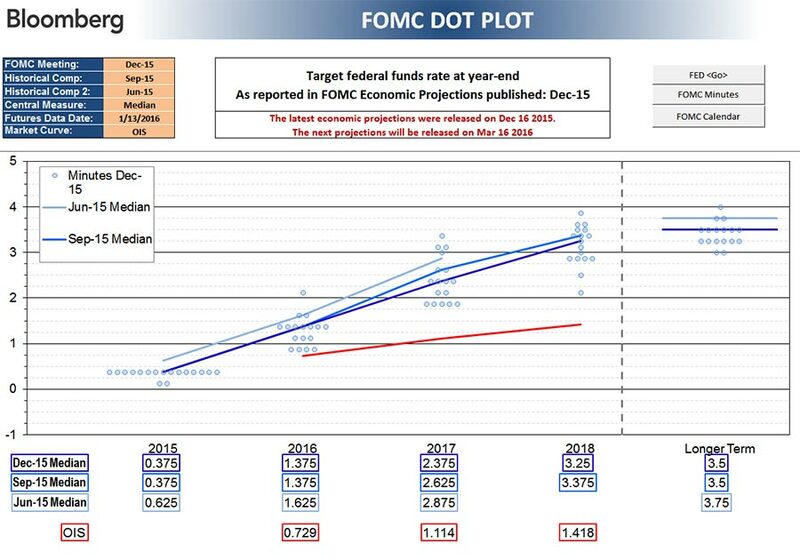 Traders are pricing in about a 36 percent chance the Fed will raise interest rates at or before its March meeting, down from 51 percent at the end of last year. 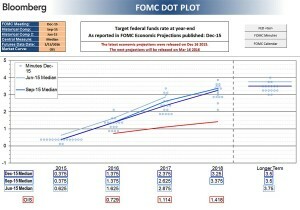 The probability is based on the assumption that the effective Fed funds rate will trade at the middle of the new Federal Open Market Committee target range after the next increase. Gundlach’s $52.3 billion DoubleLine Total Return Bond Fund beat 94 percent of its peers during the past year, according to data compiled by Bloomberg. He correctly bet last year that interest rates would go sideways, oil would fall and China’s economic prospects were weakening. Before the Fed raised rates last month, both Gundlach and Summers said any increase may be followed by a cut as a policy mistake would curtail long-term growth and inflation prospects. Summers warned that the Fed risked making an error that will be difficult to correct. Treasuries returned about 1 percent this month, versus 0.9 percent for all of 2015, based on Bloomberg bond indexes. Policy makers this week have offered conflicting views about the central bank’s rate path amid tumbling oil prices and global market volatility. Boston Fed President Eric Rosengren said Wednesday that estimates for U.S. economic growth are falling, putting the central bank’s projected path for rate increases at risk. By contrast, Richmond Fed President Jeffery Lacker said Tuesday that the U.S. and China’s economies are linked “less than you would think” and the Fed is likely to need at least four rate rises this year.